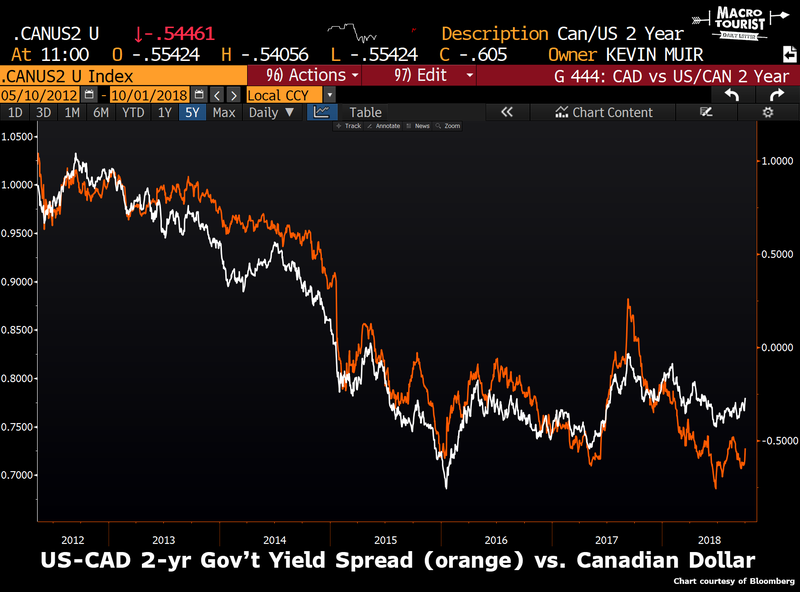 ﻿ The Macro Tourist | THE START OF THE LOONIE BULL RUN? 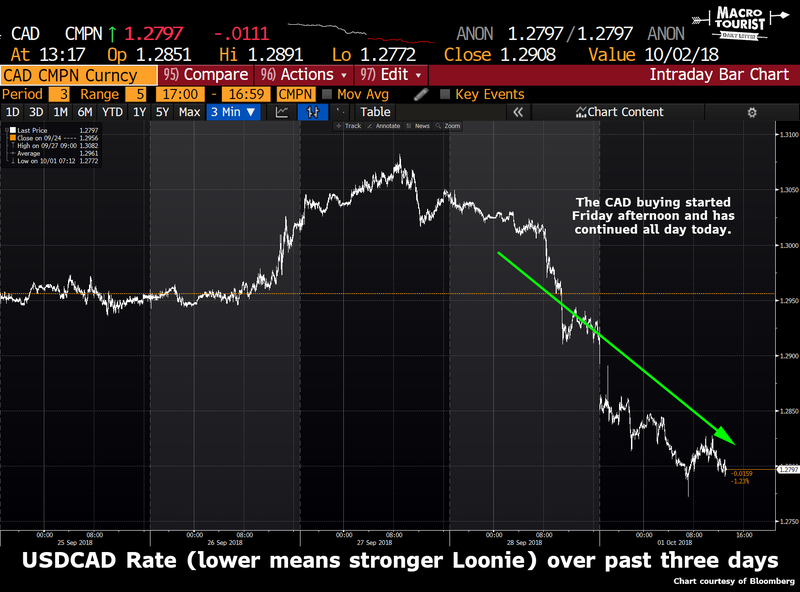 THE START OF THE LOONIE BULL RUN? Did we really expect anything different? Sure, Trump blustered about how much he didn’t like the Canadian negotiating team and that we had been taking advantage of Americans for far too long. He assured his base that this would change under his leadership. But this is how Trump negotiates. He takes extreme stances. He insults his counterparties. He appears unrelenting and unwilling to compromise. And then, at the last minute, he makes the best deal he can. It’s par for the course. Does this work? Who knows? I certainly don’t have a clue about its effectiveness and I don’t really care. All I know is that the market seems awfully slow at figuring this game out. But the real question on my mind is whether today’s Canadian dollar strength is merely a sell-the-rumour-buy-the-news type event, or the start of a larger move higher. The CAD buying started late Friday afternoon, and has continued all day today. Yet will this flame out in the coming days? Or will the break below 1.2925 support prove to be the technical breakdown Loonie bulls are looking for? To answer that question, let’s have a look at two of the most important factors in Canadian dollar price level determination. Even with the NAFTA worries of the past six months, the Canadian dollar has outperformed the 2-year spread differential. According to this simple model, we should expect the Loonie to be almost a nickel lower given the yield spread. 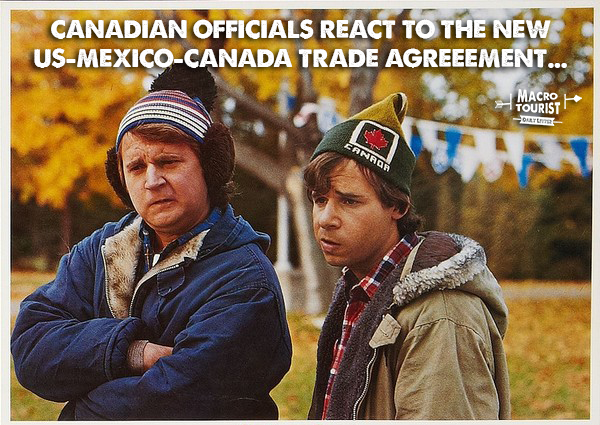 So much for the idea that this free trade deal will be the start of a new bull move in the Loonie… But wait - what’s the other factor I mentioned earlier? Crude oil - of course! Canada is heavily dependent on energy revenues and our currency has even being described as a petro-currency. With good reason. 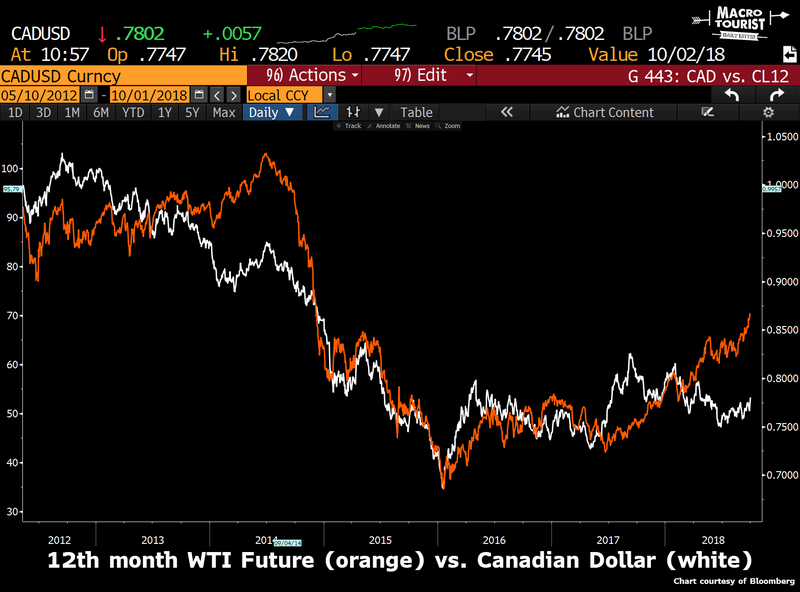 Have a look at this chart of the 12th-month perpetual WTI future versus the Canadian dollar. Much to almost everyone’s surprise, crude oil just keeps going up, and up, and up. I contend oil is one of the most hated markets out there, yet it has been one of the best performing. Yet the Canadian dollar has not participated with this good fortune. Why? Well, that’s an easy one. Although Brent and WTI is rallying, energy in Canada is hampered with the ability to get to international markets by lack of pipelines and therefore is trading at record-wide differentials. 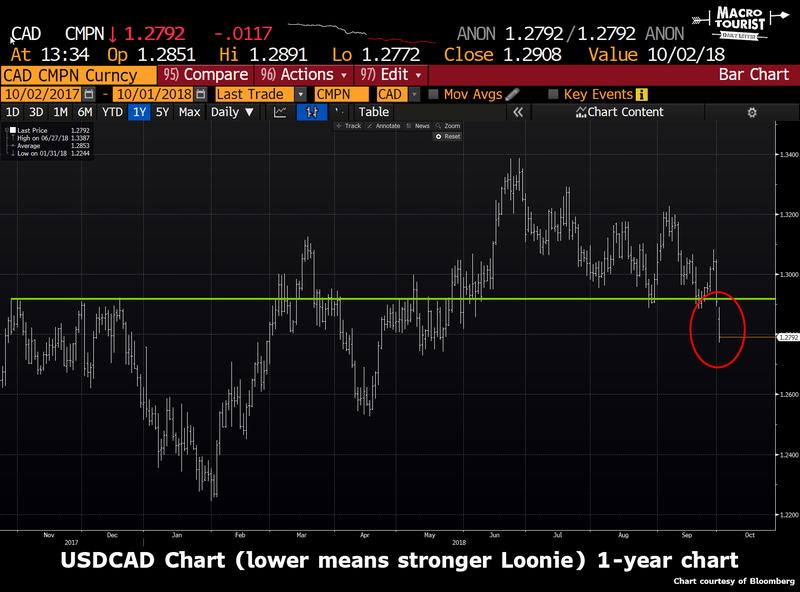 So it’s not surprising this relationship between oil and CAD is breaking down and not doing a good job at predicting the Loonie’s level. The other aspect to keep in mind is that currencies are relative values. Canada used to have a lot more oil production than the US, but that’s changed over the past decade. Therefore as oil rallies, the Loonie should rally, but so too might the US dollar. Therefore the USDCAD versus oil relationship might become less and less reliable. Where does that leave us? The Loonie is expensive when it comes to interest rate differentials, but cheap when it comes to relative energy levels. Yet, Canadian energy is suffering from a transportation crisis, making this indicator less effective. Seems like it is easy to argue this free trade deal announcement should be a sell-the-news-type-event for the Canadian dollar. I am usually the first one to fade some technical breakout. And not only that, as a Canadian prone to our British-inherited-habit-of-self-loathing, I often let the time honoured tradition of being bearish on my country’s fate overwhelm my decision-making process. But this time I will push back against those tendencies. Royal Dutch Shell Plc and its four partners have agreed to invest in a multibillion-dollar liquefied natural gas project in western Canada – the largest new one of its kind in years that would carve out the fastest route to Asia for North American gas. 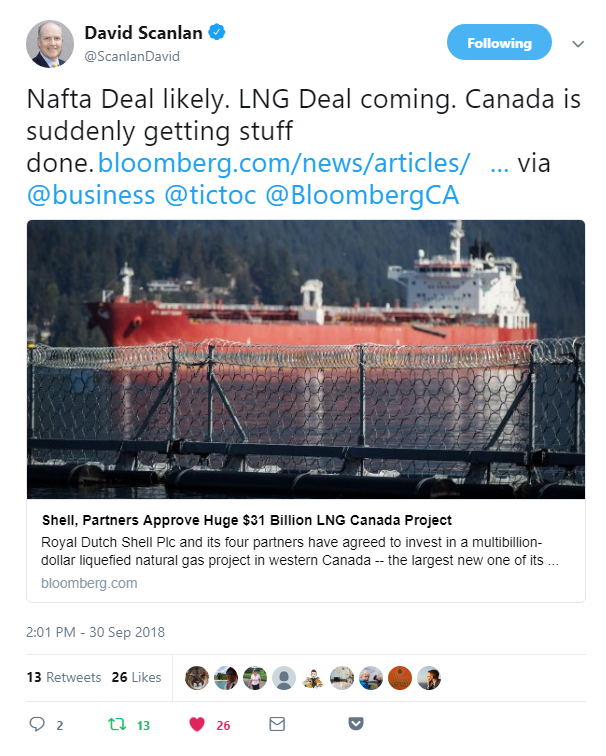 LNG Canada – comprised of Shell, Malaysia’s Petroliam Nasional Bhd, Mitsubishi Corp., PetroChina Co. and Korea Gas Corp. – is set to announce a final investment decision on the C$40 billion ($31 billion) project as early as Monday, said people with direct knowledge of the plans, who asked not to be identified because the matter isn’t public. The exact timing still hasn’t been decided. PetroChina and Korea Gas announced approvals of their share of the investment on Friday. The others partners declined to comment. The project marks a turning point for Canada and the gas industry. Set to be the nation’s largest infrastructure project ever, LNG Canada augurs a new wave of investments for major gas export projects after a three-year hiatus forced by a global supply glut. LNG Canada will be able to send cargoes from Kitimat, British Columbia to Tokyo in about eight days versus 20 days from the U.S. Gulf. Can you imagine if we ever smarten up and start making reasonable energy policy in this country? 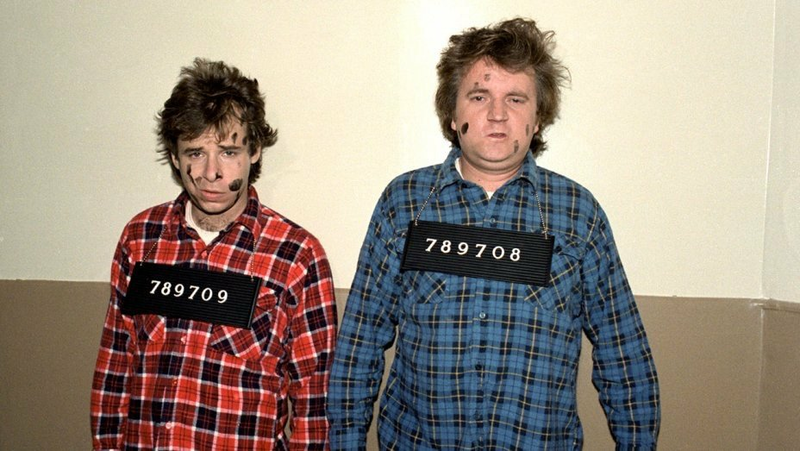 Brent is trading $85 a barrel for Pete’s sake! We should be rolling in it. My Canadian bearish pals will tell me all the reasons why housing is set to collapse, why America is going to eat our lunch, why taxes are too high and we will continue to suffer from brain-drain. Yeah, I get it. I know all the negatives. But I get the sense that so does everyone else. It feels like Canada has been forgotten. The currency has been shunned for being a commodity currency in a period where commodities are getting hammered. The Loonie has also suffered from the fact that Trump chose Canada to make an example of. PS: ok, for all my intellectual purists readers, I realize that the two-vertical-axes-graphs are chart crimes. Guilty as charged!